Hot, hot, hot! Spielberg’s latest clone, the primordial Spinosaurus and Velociraptor! 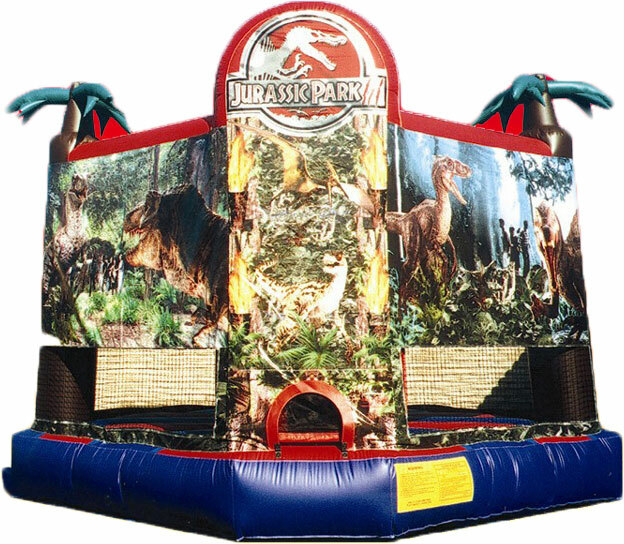 Kids love jumping inside the only authentic Jurassic Park inflatable.